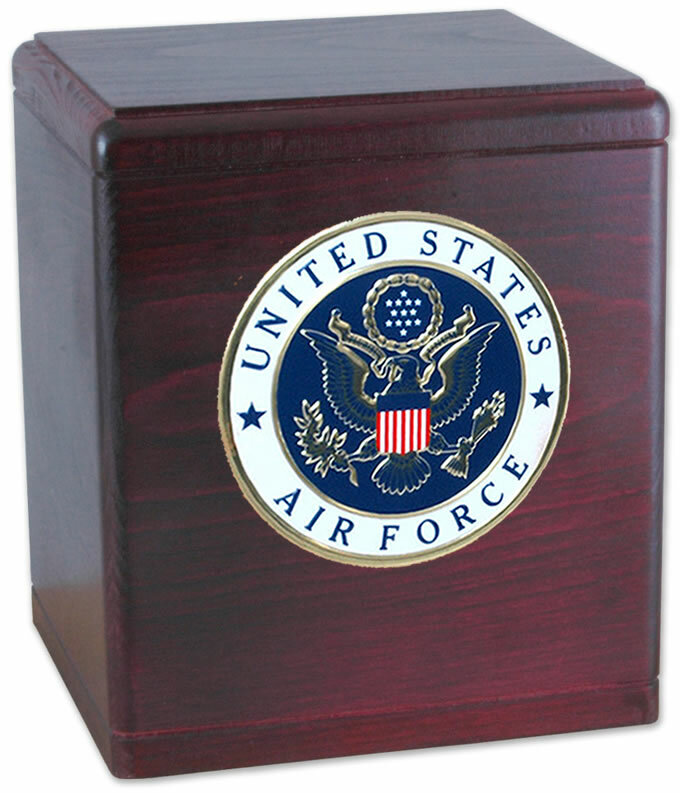 The Freedom Military Rosewood Cremation urn is made of solid hardwood with a Rosewood stain. 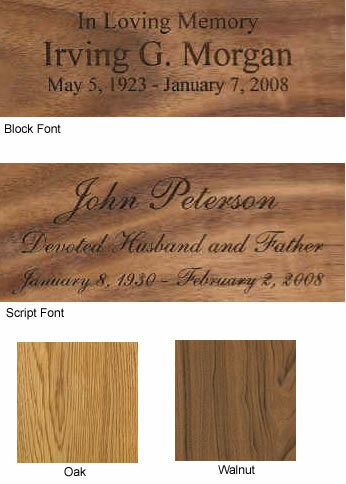 The wood used to make the urn is either cherry or walnut. 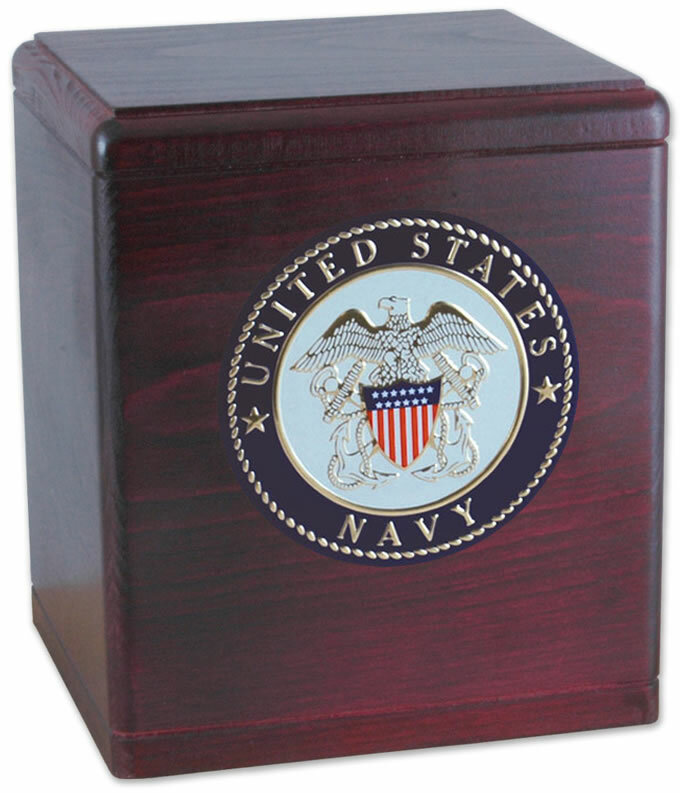 This urn is a fitting tribute to a loved one who served in one of the branches of service of the military. The urn loads through the bottom by removing several screws and a wood plate. 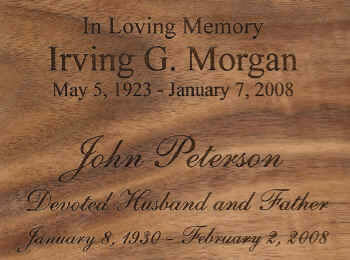 Each urn is professionally handcrafted in the United States. Available medallions for US Army, Navy, Marine Corps, and Air Force. 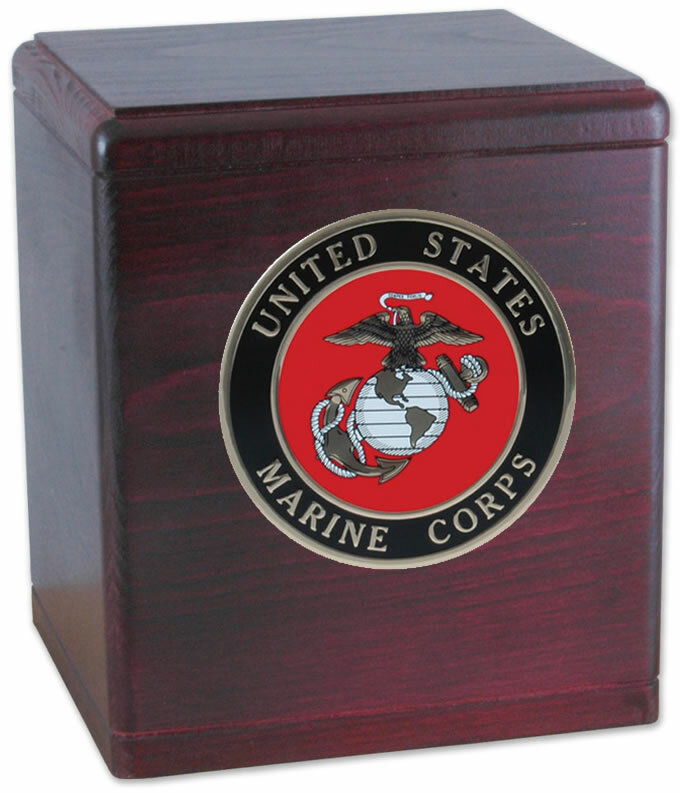 Click on the detailed images to view urns with different military medallions.